I am a lucky person or more correctly I am very lucky where I live. 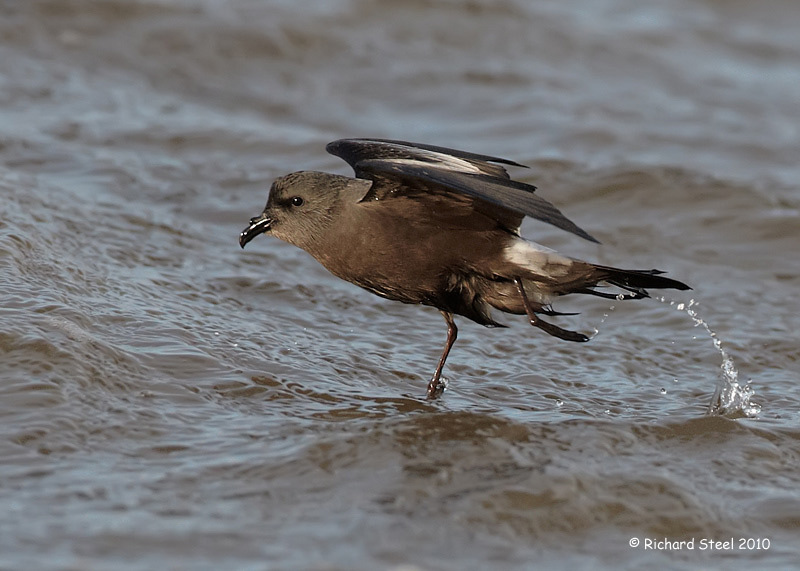 I live at the end of the Wirral peninsula in NW England and this is one of the very few places where it is possible to photograph Leach's Storm Petrel from the shore. As September is nearly upon us, it has reminded me that the brief window of opportunity to photograph these birds is fast approaching. Leach's Storm Petrel are pelagic birds only coming to shore to nest at remote islands and spend the rest of the time out at sea. 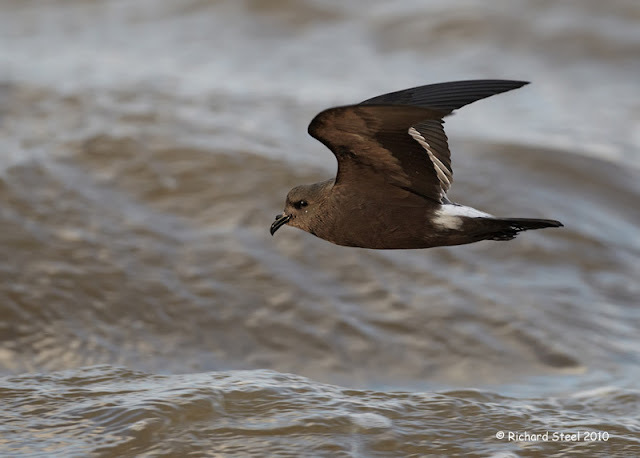 During September, in their migration southward, some birds pass down through the Irish Sea with peaks numbers passing Liverpool Bay towards the end of the month. To photographic these ocean wanders from the shore requires a whole set of conditions to coincide which means that some years, like 2011, only one or two birds may appear briefly battling their way through the waves. The necessary conditions are that gale force winds from the North-West blow for at least 3 days. This pushes the birds landward and they are funneled in towards the mouth of the River Mersey. The birds linger in the mouth of the river then as the tide ebbs, head out and move along the top of the peninsula. Given the alignment of the river mouth with the coast there is one particular spot about 4 miles from my home where numbers of petrels can hit the shore. Obviously for this to come together the tide also needs to be at the right time of day for light direction to allow photography. The benefit of living local is that I can keep a close eye on wind and tide conditions, and get myself quickly into the right place at the right time. Even when all these conditions coincide photographing the birds remains a big challenge. I managed to find this video on YouTube which is actually shot on my local coast (not by me I hasten to add) and will also give you an idea of the birds and conditions - Petrel Video . 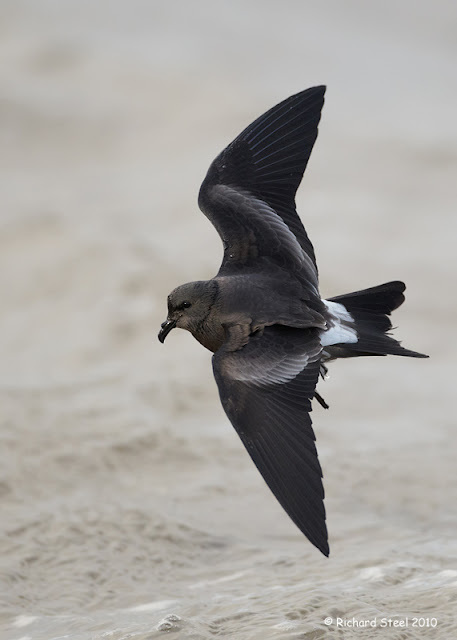 The challenge for photography is that you are being buffeted by a 30 - 40mph wind that is laden with camera unfriendly salt and sand, trying to photograph a bird about the size of a starling in flight that keeps appearing and disappearing behind large waves. Believe me it is not easy but it is a very rewarding experience being up close to these enigmatic sea birds and I have had them so close that they were inside minimum focusing distance for the camera. They appear very bat like as they flutter low across the waves and patter across the wave tops as they battle their way back seaward into gales. All you can do is admire these delicate looking birds as they struggle back out undeterred in to a raging sea of spray and foam. 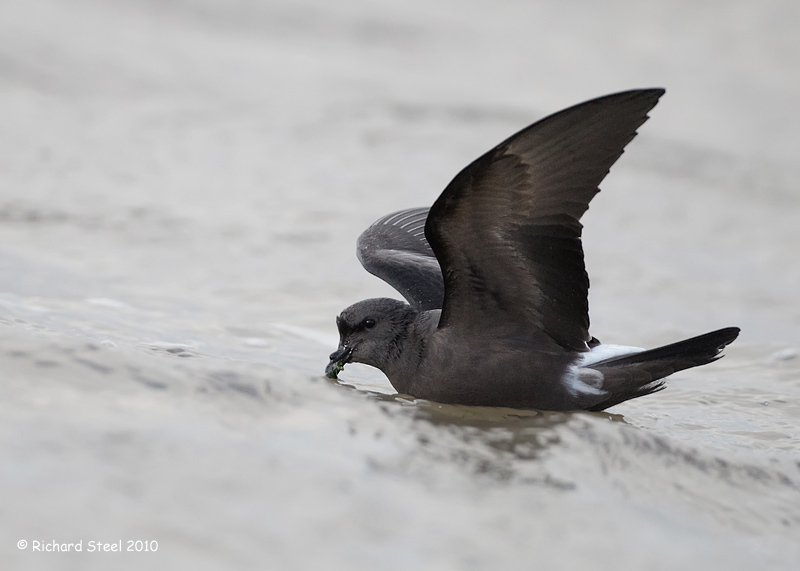 The birds rarely actually land on the water, as this bird below has, unless the kind a quick and easy meal. The tube nostrils of these birds are very effective at sniffing out food over vast ocean expanses. Unfortunately sunlight is also rare under these stormy conditions and so you often struggle with the quantity and quality of the available light. 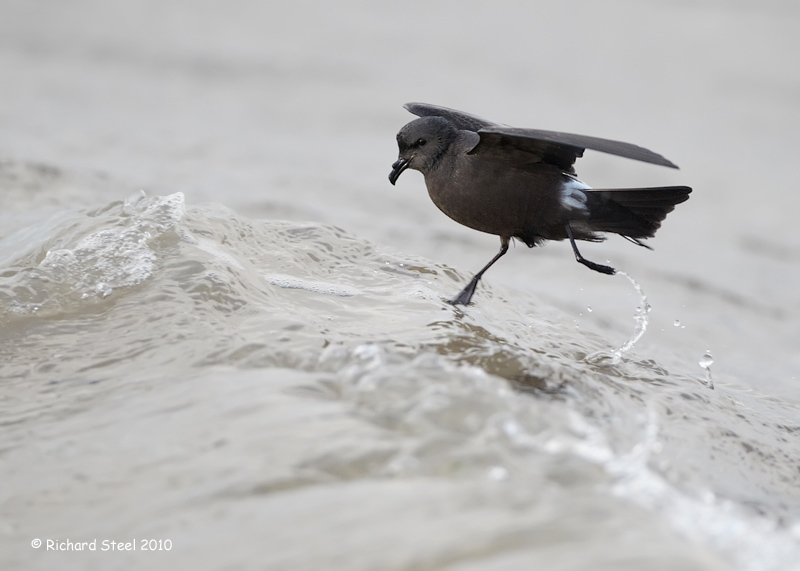 It is great to watch them as the walk across the wave tops in their buoyant flight. Superbly adapted to their life on the ocean swells. My favourite image of this species to date is the one below of a banking juvenile bird which is a particularly difficult photo to capture in the howling winds. 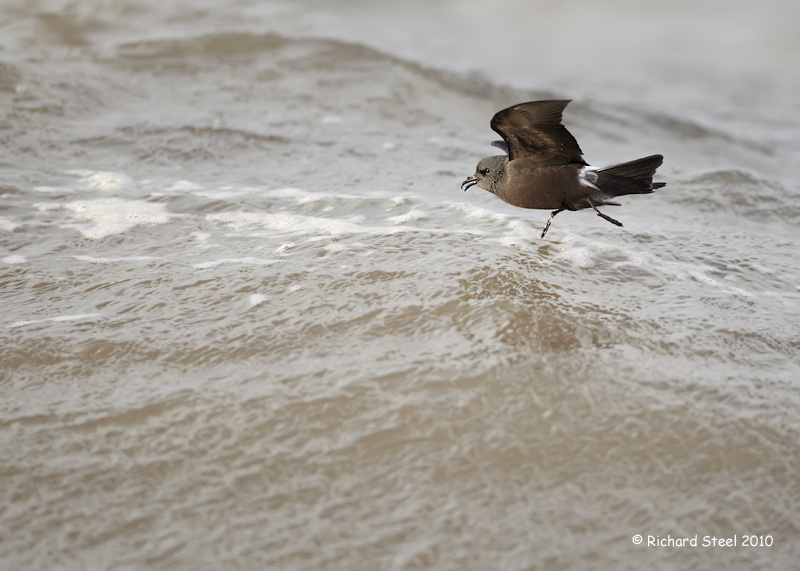 This photo recently appeared in a book dedicated to storm petrels. However, as any bird photographer will tell you there is always room for improvement which is what keeps us going back. Will they arrive this year? Well its in the hands of the wind and tides. As you can see from the dates on the photos here the last good year was 2010, so we must be due one. All I can do is hope they will make an appearance as it is always a pleasure to have a brief glimpse of these birds that normally reside beyond the horizon. Great post, very informative and very nice photos. Hope to see these birds some day soon. Great photos. Off the US West Coast we generally only see these birds offshore beyond 60 miles... in other words, very rarely on long pelagic trips. They do nest on offshore rocks along the coast, but only come to their nest burrows under cover of darkness. Thus, your photos are amazing, and that video link goes against all my experience. Thank you! Wonderful post! The photos are stunning and the video brings to life the wind and the seas these birds encounter. Fantastic! I love those photos. Great photos - I find it incredible to think of all the sea birds living out there in the oceans for most of their life, it makes me wonder how they sleep out there lol. I bet you see a great variety of birds where you live, I'm not too far away just over the border in North Wales! Thanks for the comments. I will let you know if we have a Leach's autumn this year. 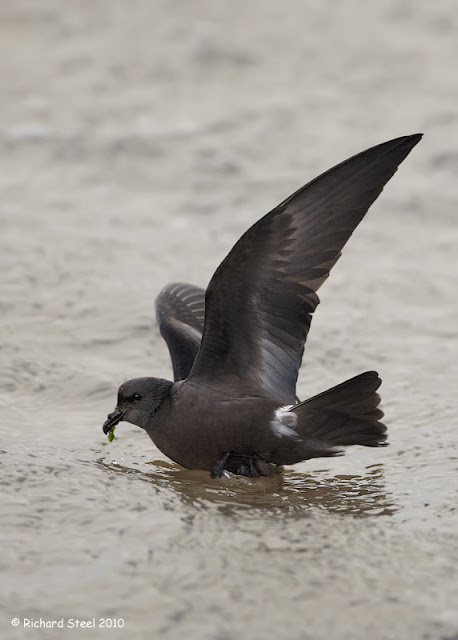 Any chance I could use one or more of your incredible Leach's Storm-Petrel shots for my free online 'Birds of Vancouver Island". http://picasaweb.google.com/pat.mary.taylor It would be greatly appreciated.